Creative freelancers need all the support they can get to continue to produce exceptional collaborative work. 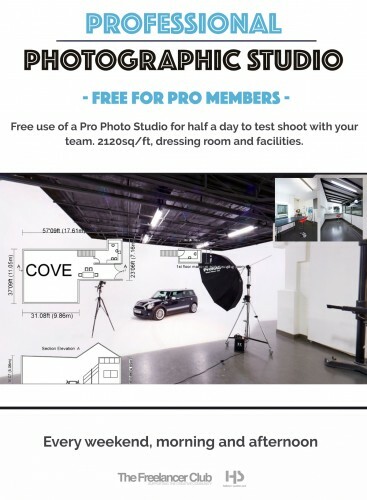 Holborn Studios recognise this and have teamed up with The Freelancer Club to offer Pro Members access to their Professional Photographic Studio for FREE! The studio normally rents at £576 for half a day. Access half a day at a Professional Photographic Studio at Holborn Studios in London to test shoot with your team. 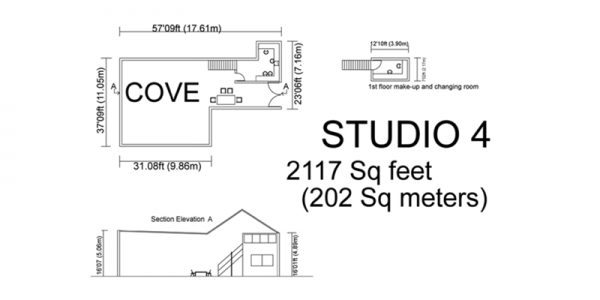 DO NOT contact Holborn Studios directly unless you wish to hire and pay for a studio space. Members MUST book through our site. DO NOT book the studio if you have not confirmed your shoot team. Members are required to provide details of their shoot team prior to booking. Bring your own lighting kit or rent equipment from Holborn Studios at 65% off using your Freelancer Club Membership. The Organiser must have been a Pro Freelancer Club Member for at least 3 months. The studio can be used for Test Shoot purposes only and not for commercial work. The organiser is required to sign a Test Confirmation form. Pro Members can apply to use the studio more than once (never on the same day), however, new applicants will be prioritised. All bookings must come through our site. Holborn Studios will not accept any direct bookings. Lighting is NOT included. The team must bring equipment, lights, props etc... A 65% discount on ProFoto kit is available to Freelancer Club Members. Our team will assess your application and contact you should you be successful. Please ensure you fill out all the fields when applying. In addition to the Studio's terms and conditions, we ask that all Freelancer Club Members represent our Club with distinction and treat the Studio with the utmost respect. Holborn Studios are very graciously providing their space to our Members and we would like to repay their generosity by leaving the studio the way it was found. No painting, drawing or marking the studio floors or walls. Tidy up the Studio and Dressing Room before leaving. Only use the Studio for Test Shoot (collaborative) purposes. Cancellations must be made with at least 7 days notice. Due to popularly we cannot guarantee that all applications will be accepted. Our team's decision is final. Any exploitation of the Studio or violation of the rules will result in a suspension of the entire team involved. On occasion, the studio may be made unavailable and we will provide teams as much notice as we can.